Discussion in 'App/Feature Suggestion' started by Mustang, Mar 27, 2019. 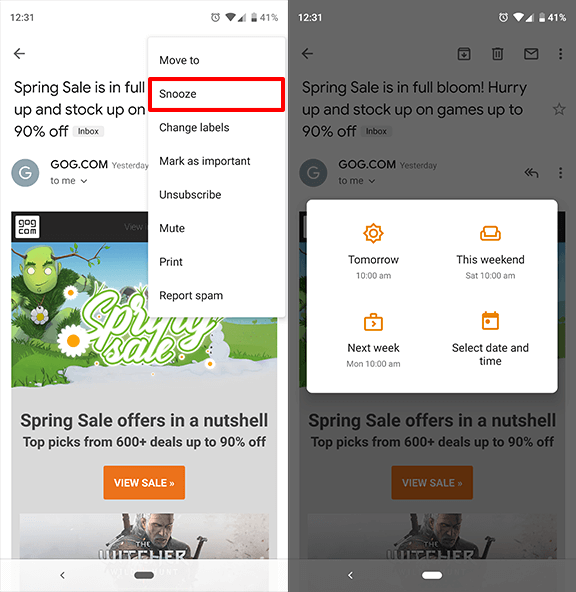 Due to Inbox being discontinued I look for an alternative method to have a "Snooze" button for Gmail notification, it would work the same as clicking the option shown below. To clarify this does not snooze notifications, but the emails themselves. I looked in the "Gmail Buttons" list in AutoNotification, but it doesn't have "Snooze" as an available tickbox.